Vice Presidential candidate of the PDP, Peter Obi has met with Pope Francis at the Vatican City. The visit is believed to be for prayers ahead of 2019. 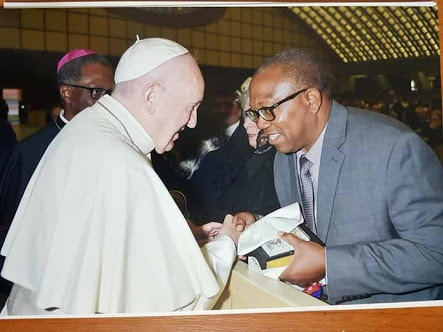 Hey Buddy!, I found this information for you: "Atiku’s Vice, Peter Obi Meets With Pope Francis (Photo)". Here is the website link: https://headlinenews365.com/atikus-vice-peter-obi-meets-with-pope-francis-photo/. Thank you.